FOOT DROP? Fatigue? Catching your feet when you walk? Sick of the rigid AFO? Have you tried Functional Electrical Stimulation? The XFT Foot Drop System is a revolutionary medical device that may help you regain mobility and independence. 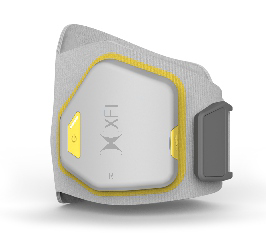 The XFT has an inbuilt gyroscope and accelerometer which controls the time and duration of electrical stimulation to the common peroneal nerve as well as the tibialis anterior and other muscles to make the movement dorsiflexion and eversion. Those mild electrical pulses stimulate leg muscle lifting the foot at an appropriate phase while walking and therefore enabling you to walk more steadily, naturally and safely and for longer. The system’s internal sensor adapts to changes in walking speed and terrain, allowing you to walk easily on stairs, grass and carpet. Comfortably worn under most clothing, the Foot Drop System’s unique design can help you eliminate the need for a rigid ankle-foot orthosis (AFO), or braces, and may reduce the risk of falls and injuries. We are the New Zealand supplier of the XFT and have had 100% satisfaction from the many New Zealanders that have invested in the product to date. Advanced ergonomic design makes the electrode fit the leg muscles. Ultra-thin design makes the device can be covered by trousers perfectly. Magnetic clasp for one-handed operation. You will need to have some preservation of the common peroneal nerve. This can be easily identified during an assessment and fitting. HOW DO I GO ABOUT HAVING AN ASSESSMENT /FITTING? We will be able to schedule you in an appointment with one of our experienced therapist who can make complete an assessment and make necessary adjustments for you to get the best out of the unit. You will need to gradually build up the time wearing the device but with the repeated stimulation during walking you will be building up the strength of the muscle while potentially reducing spasticity on the opposing muscle groups. Our customers that have purchased so far are reporting 100% satisfaction and that they are more stable, more confident and love the security with the freedom of no rigid AFO.